A truly "One of a kind" print is produced by the technique of Monotype Printing. 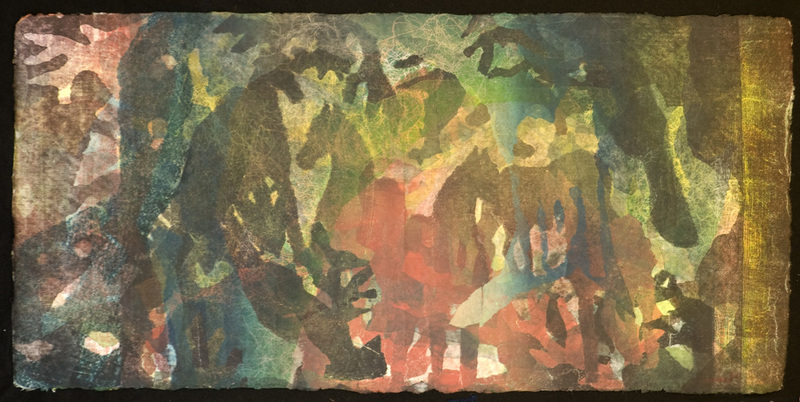 To create this monotype the artist applies inks or another painting medium to a flat plexiglas plate with a hand held roller. Color is added or subtracted from the plate using rags or objects as a resist. The plexiglas is then placed face up on the bed of an etching press. A sheet of paper is placed on top of it, and both are run through the press, creating enough pressure to transfer the inked images onto the paper. Only one original print can be created by this method because most of the ink is removed from the plate as it goes through the press. 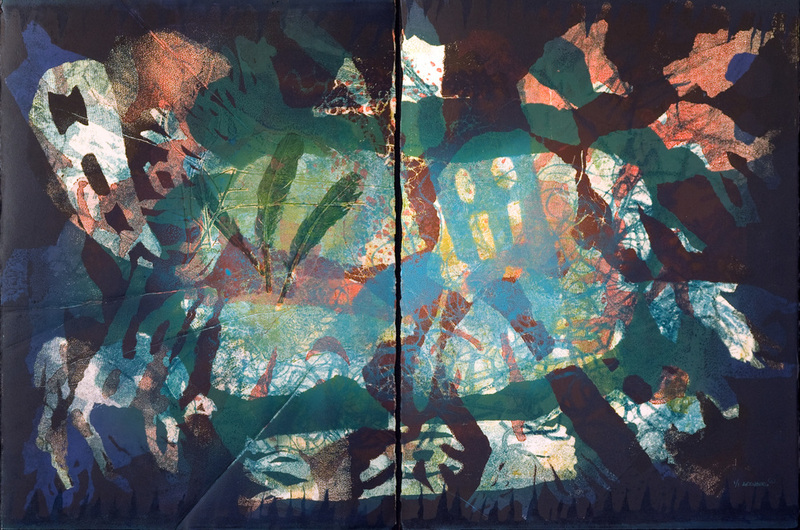 Many variations of this printmaking method are possible by using oil-based, or water-based printing inks, oil paints, acrylics or watercolors. The print can be the result of one run through the press, but by re-inking and re-working the plate the artist can add additional rich layers of color to the same paper with transparent inks. Successive prints off the same plates will yield a “ghost” image. This name indicates the faintness of the image, and is often a starting point for a brand new piece. Without an etching press, prints may also be burnished by hand with a japanese block- printing baren or other hand tools.